Travel has always existed as long as people have lived on this earth. It was originally undertaken out of necessity as ancient people would migrate to new places when disasters affected their land. Nomads roamed from place to place, as often as their herds consumed all the vegetation in a given area. Trade began to develop as people started to specialize in what they could make, grow, or mine from the earth, and travel was necessary for bartering of goods. We have come a long way from the early days of traveling on foot or horseback, but many people today still travel for business purposes or for vacations, making travel and tourism a huge industry. The opportunities for travel around the globe are endless, and travel and tourism play a huge and vital role in personal well-being and the health of our economy. Jerusalem Post. Sunday, 21 Apr 2019 10:42:31 GMT. Sky News. Saturday, 20 Apr 2019 11:59:00 +0100. 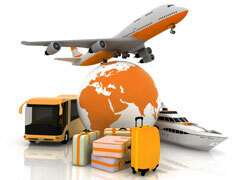 Many people travel for vacation or business purposes, helping make travel and tourism a huge industry. This industry includes travel agencies, resorts and hotels, airlines, cruise lines, railroads and bus lines, recreation and amusement parks, and other tourism-related transportation and venues. Travel agents give advice about destinations, make transportation, lodging, tour, car rental, and recreation arrangements, and sell travel insurance. They may be self-employed, or they may work for travel agencies, corporations, universities, or membership organizations. Full-time travel agent programs lasting for several months can be found through many vocational schools, and several colleges offer a bachelor's degree, or even a master's degree, in travel and tourism. Hotels and motels can be classified as commercial, residential, extended stay, resort, or casino. Employment opportunities vary, but most lodging facilities offer positions for front desk personnel, managers, housekeeping, marketing and sales, food and beverage, security, human resources, maintenance and engineering, uniformed service, and accounting and financial management. Many hotel employees receive on-the-job training and may take courses in hospitality offered by a technical school or community college. Pilots and flight attendants work in the airlines industry, as do reservationists and customer service personnel. Pilots are employed by major airlines and commuter airlines as well as corporations and cargo airlines. Helicopter pilots must have at least 250 hours of flight time and an instrument rating, while airline pilots need 1,500 hours of flight time and appropriate certification from the FAA. 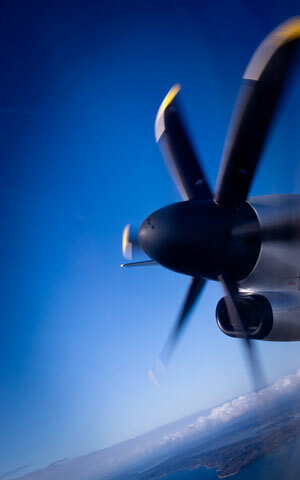 The four types of certifications offered (student, private, commercial, and air transport pilot) all have their own aviation training requirements, but only commercial and air transport pilots can participate in the commercial travel industry. Flight attendants work on commercial airlines to ensure that passengers have a safe and comfortable flight. They stock supplies, greet passengers, assist in seating and storing of carry-on luggage, instruct passengers in the use of safety equipment, ensure proper seatbelt use, provide food and drink service, help passengers deplane, write up reports, and clean up the cabin. Flight attendants must usually complete up to eight weeks of intensive training with the hiring airline, and be prepared to work unconventional shifts. Reservationists and customer service agents work in the airlines, as well as in other parts of the travel industry, including hotel and motels, cruise lines, railroads, bus lines, and car rental agencies. 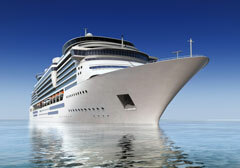 They answer customers' questions, offer suggestions and information, and book flights, accommodations, cruises or trips. Reservationists and customer service agents usually receive on-the-job training but may also take hospitality courses offered by technical schools or community colleges. Cruise lines employ deck personnel, engine personnel, food and beverage personnel, and accommodations personnel, plus a purser department, a cruise department, and a service department. Deck personnel operate, navigate, and maintain the ship. Engine personnel operate, maintain, and repair the engine, as well as all electrical, plumbing, and mechanical systems. Food and beverage employees include dining room managers, chefs, waitstaff, cooks, bussers, and dishwashers, as well as bar managers, bartenders, and wine stewards. The hotel department includes a chief housekeeper, room stewards, cleaners, and bellhops. The purser department is comprised of uniformed ship's officers who handle all the administrative tasks relating to passengers. The cruise department is responsible for entertainment, and includes hosts and hostesses, a shore excursion director, a recreation director, a children's activities coordinator, and musicians and entertainers. The service staff includes photographers, gift shop employees, beauticians, barbers, manicurists, masseuses, doctors, casino dealers, and cashiers. The qualifications and educational requirements for working on a cruise ship vary greatly, and depend on the department and the position. Many people travel by Amtrak or bus each year, and the railroad industry provides opportunities for engineers, conductors, and service personnel. Engineers operate the train, while conductors and service personnel ensure the safety and well-being of passengers. 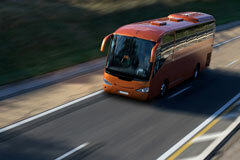 Bus drivers must possess a commercial driver's license and pass a background check. Most developed countries maintain extensive highway and road networks. So, despite the availability of public transportation and travel options such as airplanes, ships, buses and trains, many people prefer the flexibility and convenience of traveling in their own cars. The following video illustrates the enjoyable experience of driving along a road through the countryside. Visit these websites and web pages to learn about travel destinations and popular tourist attractions in and around North America. Describes Alaska vacation destinations and outdoor activities as travel options to and within Alaska. Discusses the many attractions offered by the Caribbean islands as well as maps and info about specific islands. Features maps and photos of Central America as well as information about the region's geography and attractions. Includes maps of New England as well as information about the geography, history, and culture of the New England states. 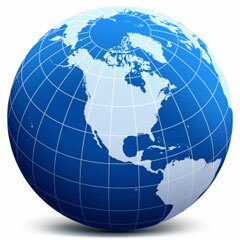 Contains maps and photos of the North American continent as well as travel and tourism information about the continent. Highlights the Paradise Island and Freeport vacation destinations as well as the more laid-back Out Islands. Founded in 1931, the ASTA represents travel agents and the traveling public. The association strives to protect and promote the mutual interests of its members, maintain a dignified code of ethics, combat unfair competition, stimulate the public's desire to travel, and promote the use of ASTA members' services. AH&LA represents every segment of the hotel industry including major chains, independent hotels, management companies, REIT's, bed and breakfasts, industry partners and more. General information about travel and tourism can be found at the Travel Industry News and U.S. Travel Association sites.